‘People are not interested in your company, your brand, your product. They really aren’t, sad as that may be, and even if you get through with the message they’re sceptical. – Along come stories. They’re more impactful than facts. They get attention. 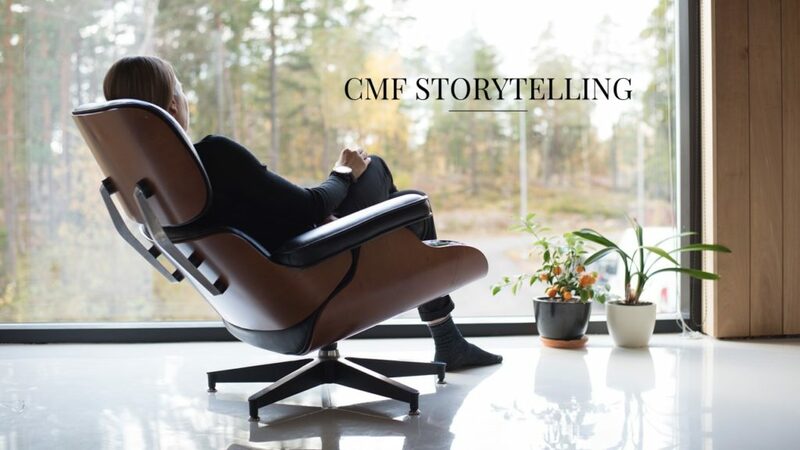 In the collaboration with brands and marketing it is important to deliver sensorial stories that are promoting the connection between products and people, eventually leading to strong brand identity and recognisability – and sales. In our portfolio works brands have invited us to help tell a story how art and technology can work together to push the boundary of product making. The designer role overall is changing – today we have a responsibility to be part of solving problems our world is facing. We need to think about the relationship between technology and people’s needs. Looking at what consumers want today many things are changing. The value perception has changed. In the past it was about owning statement products and wealth symbols but present day and future it is all about owning less things and investing to sustainable future – experiences over things. Wellbeing is the new luxury and brands need to support fluid lifestyles and create emotional connection to the values they promote. Therefore, storytelling is a big part of design thinking that allows designers to create unique experiences. By defining what is the real problem, we can design real innovation, and create evoking stories while doing it. So – you ask, what are the mediums in design storytelling? Designers need to have presentation skills to sell the ideas with the stories first to the brands and eventually to their end consumers. In the end, product development is an investment, so we need to provide the proof points that there is the return on investment (ROI). We at Omuus have our own Design Data Matrix. We always start with the research information, market and consumer studies, infographics and analytics. With the research we can define if there is a gap in the market, or a product opportunity that answers to specific need – and with our analysis to define the market readiness for the idea. It is a strategic decision to take: is there a novelty value for a brand to be first in the market, product targeted to early adopters, or is the product position already in the mass market stage. This analysis tool gives us the ability to define brand identity – whether your brand is seen as a leader or a follower in the market, combining the consumer insights and the skill to look five or even ten years to the future to gain a competitive edge in the rapidly changing market. This is where design-thinking is placed in successful strategy creation. Since every product will be sold commercially, it is mandatory for designers to understand the business side of product creation. Secondly the concept visualizations can vary from a user experience animation to a multisensorial presentation that help to define who is the real-life customer, their real life needs and desires in order to connect in more personal level. Design as part of marketing automatically puts marketers in customer shoes to understand their problems, needs and desires better. Marketing should be more emphatic rather than selling with strict facts – crafting the message around customer needs that helps companies to be more empathetic, personal and have a dialogue with their consumers. Long gone are the days that products are sold with only technology information. Coming back to the point by Dr. Aaker, that people are not interested in your company, the brand or the products? Across industries the role of design has changed, and the leading brands have design-thinking as part of successful strategy creation, part of their business strategy and part of the storytelling. Designers are part of the story creation behind brands and products – part of creating profitable new products, services and experiences.